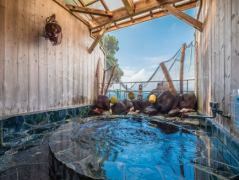 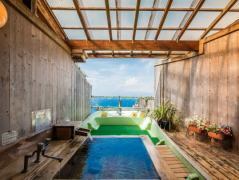 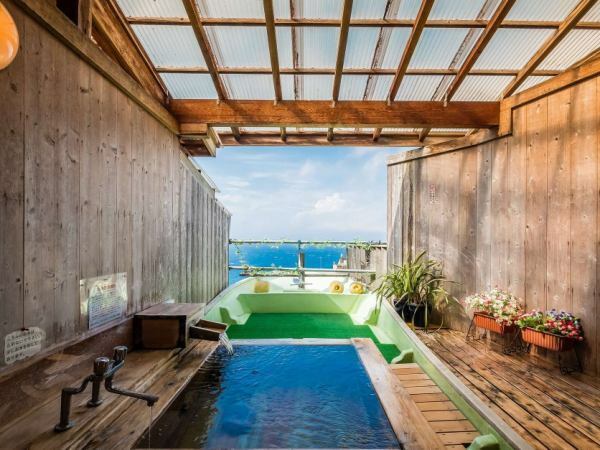 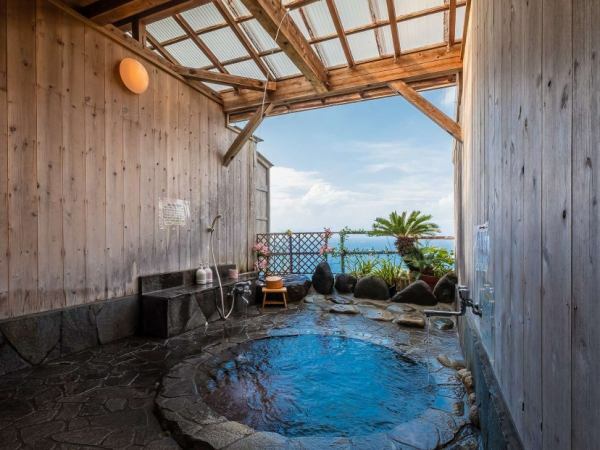 Depending on the number of guests, the number of outdoor baths that can be announced varies. 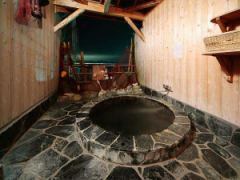 In addition, the outdoor bath "Miharashi-no-yu" is a guide only for the high season. 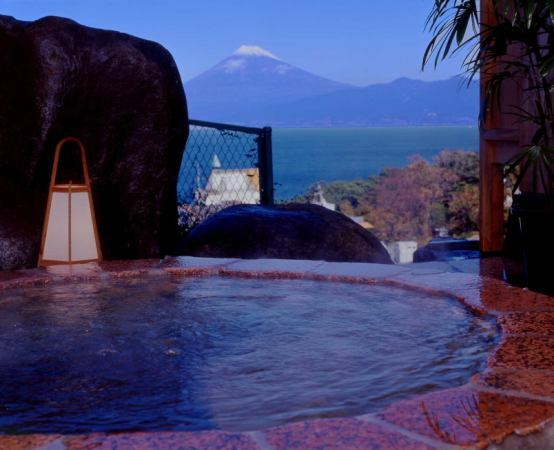 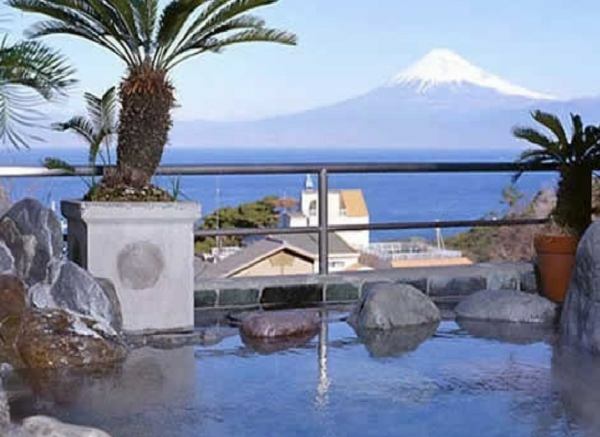 Eight outdoor baths & inner baths overlooking Mt Fuji can relax by 24H charter free. Mineral Onsen with Kirara Stone is the most fun! 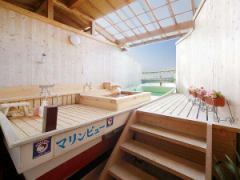 Outdoor bath "Marine Boat" Both the bathtub and the washbasket are on the ship! We can enjoy it for 24 hours charter! 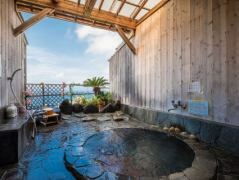 Outdoor bath "Marine Shower" is a bath of hot water! 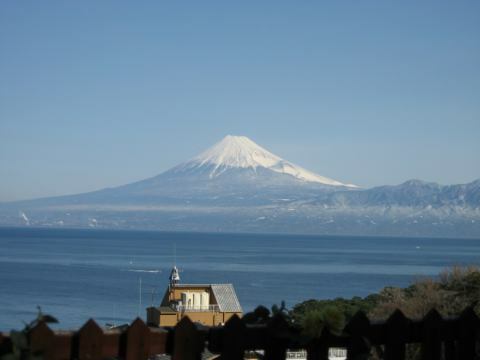 Mt Fuji at "Marine Rose" at noon! 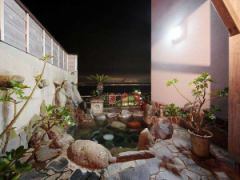 Count the shooting stars at night···! 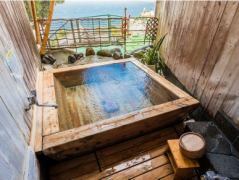 Outdoor bath "Isaribi-no-yu" is decorated with goods from fishermen! 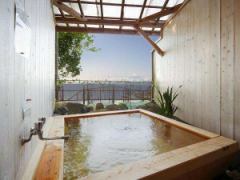 Outdoor bath "Fuji-no-yu" is a cypress bath.Please relax for 24 hours! 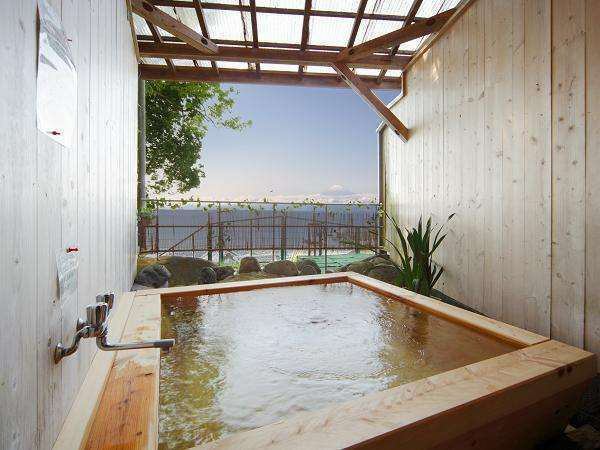 Open-air bath Miharashi-no-yu can be your bathing only high season! 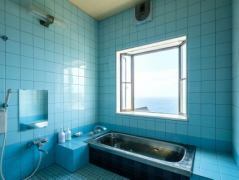 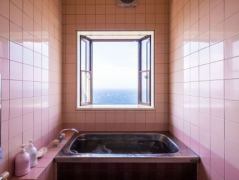 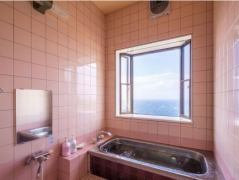 Inner bath "Pink"☆Overlooking the sea and Mt Fuji! 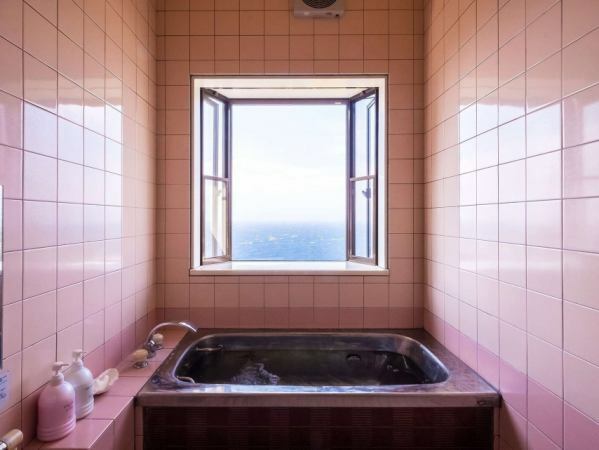 24-hour charter free of Pink color of the inner bath! 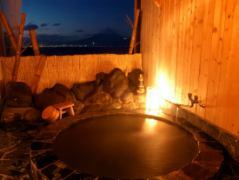 Overlooking the sea and Mt Fuji! 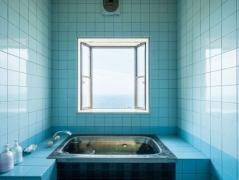 Blue color private bath free for 24 hours! 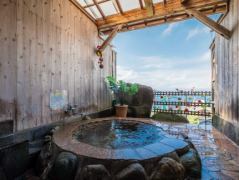 6 outdoor baths can be enjoyed for 24 hours free of charge! 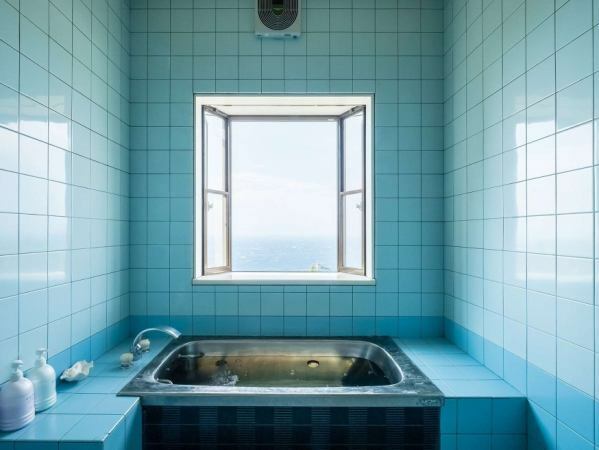 The 2 inner baths (Pink&Blue) can be enjoyed free of charge for 24 hours!